Over the weekend, Andre Agassi, who joined forces with 12-time grand slam winner Novak Djokovic last May in order to help the Serb get out of a deep slump, announced the two had parted ways. After Miami Novak Djokovic and his tennis coach Radek Stepanek decided to end their cooperation. The private relationship with Stepanek was and will remain great, and Novak has enjoyed working with him and learning from him. He remains grateful and appreciative of all the support he has received from Radek during the last period. Novak remains focused and eager to come back stronger and more resilient from long injury break that has affected his confidence and game. He is continuously and passionately looking for new and different ways to regain winning form. Djokovic will upon his short holiday with a family start his preparations for the clay season and upcoming tournaments. The cooperation between Novak and Andre Agassi has also ended. Savage! 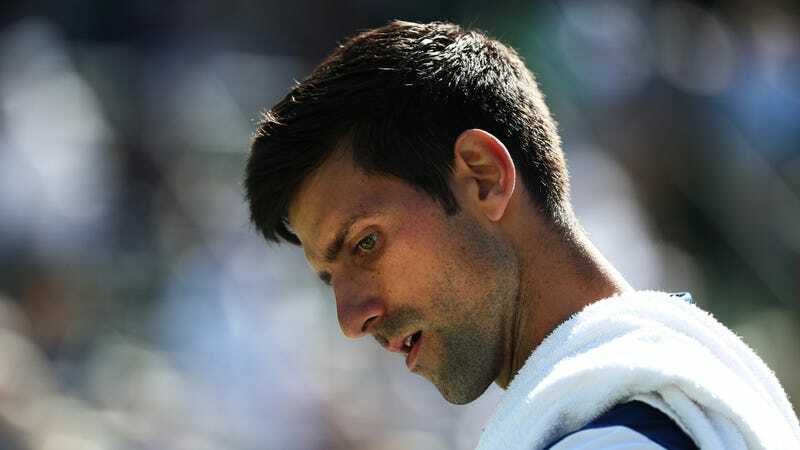 In the end, though, the joke’s still on poor Novak who, due to injuries, personal problems, and other mysterious factors, has been largely irrelevant since winning the 2016 French Open. Maybe he won’t bicker so much with his next coach. What&apos;s Wrong With Novak Djokovic?